All healings, whether in-person or remote, take place in the spirit realm. 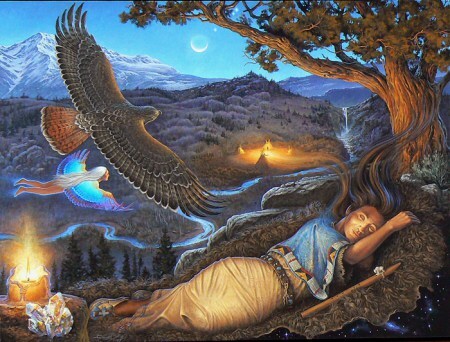 The person receiving the healing can go about their normal activities, lay quietly or sleep. Sometimes, especially when a person lays quietly, he or she will have memories or thoughts flash through their mind that offer additional insights. These insights are an added bonus, but not necessary for the healing to take place. Once the healing is done, an email with the details of the healing will be sent. Afterward, the person can email Shaman Elizabeth with questions or schedule a free phone call. If the person has additional questions later, they are free to ask whether it’s been weeks or months. The point of the healing is for the person to get well and that is more likely to happen if the person understands what is going on. There is nothing special that needs to be done after a healing, but keep in mind that a person may be more emotional than normal, especially after a soul retrieval which can bring old memories to the surface. If this happens, it would be beneficial for the person to recognize that these memories have been healed and all they have to do is release them to the spirit. A person may find it beneficial to have additional healing sessions. Everyone has multiple issues and blockages that need to be healed. If you are ordering a healing for someone who is unable to give their consent (i.e. in a coma, has severe mental illness, or is too young, etc. ), then Shaman Elizabeth will ask for consent in the sprit realm. Keep in mind, the person may say “no” and that is their right. It is recommended that you ask permission before booking a session for someone else because the healing is more likely to take effect. However, it can be tricky to tell someone they need a healing, especially if they don’t believe they are sick. In these instances, pray for guidance and then follow your heart.